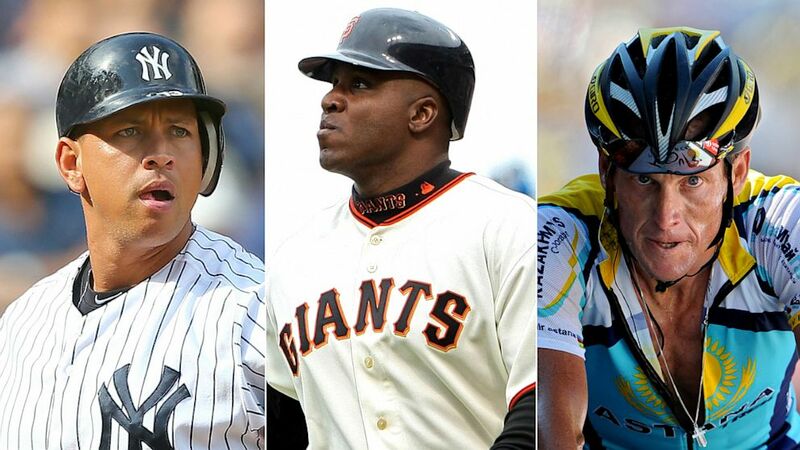 What does embattled Yankees third baseman Alex Rodriguez have in common with Barry Bonds and Lance Armstrong? All three star athletes have used steroids at one time or another (although Bonds has said he didn’t know what he was taking), but none of them were exposed by testing positive on routine drug tests. Proponents of drug testing maintain that testing has identified enough cheaters to justify the practice, not to mention its value as a deterrent because athletes fear being tested for drugs at any time. Skeptics are less convinced, however, noting that the U.S. Anti-Doping Agency can’t test for the so-called designer drugs that it doesn’t know about. While pleased with the progress of its mission to stamp out performance-enhancing drugs in sport, even the U.S. Anti-Doping Agency agreed that testing doesn’t always work. “The BALCO [Bay Area Laboratory Co-operative] case, our investigation into cycling, and the recent MLB cases all serve as examples that athletes with money and abundant resources can find ways to avoid detection,” agency spokeswoman Annie Skinner said. Professor Yesalis said he was happy with the way the Major League Baseball seemed to be taking the latest doping scandal seriously by suspending Rodriguez and disciplining 12 other players associated with Biogenesis of America, the Florida anti-aging clinic accused of supplying the players with banned drugs. But he noted that it was a “one-time deal” because someone — former Biogenesis employee Porter Fischer — “ratted out” Biogenesis, leading to the MLB doping revelations. Similarly, the BALCO scandal in 2003 started when Trevor Graham, who coached track and field athletes for the Olympics, anonymously turned in a dirty syringe to the USADA, revealing that athletes were getting a then-unknown drug from the Bay Area Laboratory Co-operative. Before Rodriguez, who in 2009 admitted to steroid use between 2001 and 2003 but is currently denying later use, there was San Francisco Giants outfielder Barry Bonds, whose involvement in the BALCO scandal resulted in a felony conviction for obstruction of justice and – at least temporarily — cost him membership in the Baseball Hall of Fame. BALCO reportedly supplied athletes with “the clear,” an anabolic steroid, and other drugs. Barry Bonds’ name was in the lab’s documents, and he became associated with the scandal in 2003, but he and other athletes said they thought they were only taking nutritional substances. Bonds played with the San Francisco Giants through 2007, but was found guilty on obstruction of justice charges related to the case in 2011. Lance Armstrong admitted earlier this year to Oprah Winfrey that he used performance-enhancing drugs during all seven of his Tour de France wins. But he, too, was exposed by a former teammate’s wife, Betsy Andreu, who is thought to have put the whole USADA investigation in motion. The elite athletes often have a cushion of people around them who know about the doping, but keep the secret because they’re profiting, he said. A disgruntled employee of the company reportedly exposed Biogensis, leading investigators to Rodriguez. “That’s a lot of the time what happens. One of these buffer people becomes disgruntled and they have the goods,” Diamond said. He said even non-star athletes aren’t deterred by testing. But other experts say that testing isn’t a deterrent because USADA can’t test for the so-called “designer drugs” it doesn’t know about. In the first quarter of 2013, the USADA conducted 542 tests at competitions, and another 1,377 outside of competitions, according to its latest testing data. Over that same time frame, it has recorded 4 doping violations. Skinner said clean athletes deserve a fair game, so her United States Anti-Doping Agency relies on more than testing to do its job.